Find the spacious two or three bedroom townhome you are searching for at The Glens at Diamond Ridge. Each floor plan features an open kitchen and dining area filled with warm natural light. The living room and bedrooms feature soft carpeting, plus ample closet space throughout. Everything you want for your modern life is ready and waiting for you here. Ready to experience your favorite floor plan in person? Contact our helpful team today for an in-person tour of your new home. 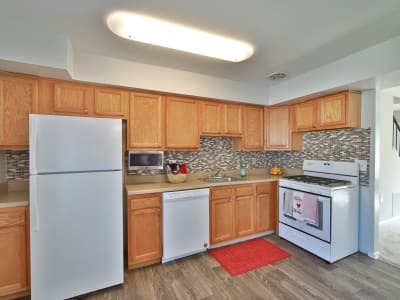 Looking for a great new space to call your own? 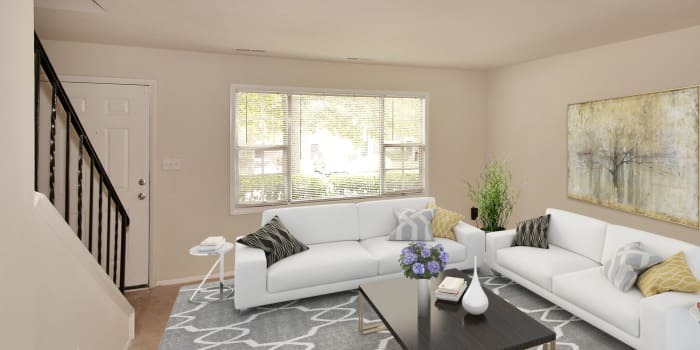 Our two and three bedroom townhomes for rent in Baltimore offer one and half baths, ranging from a generous 1,024 to 1,042 sq. ft. of living space. Enjoy ample closet space, extensive kitchen cabinets, and full-size washer and dryer in your home. When it comes to cleanliness and quality, you can always count on Morgan Properties to deliver. Our 101-point inspection ensures that your home is in top shape and ready for move-in. Bright, fresh, and clean spaces are what you can expect to find in your new home.